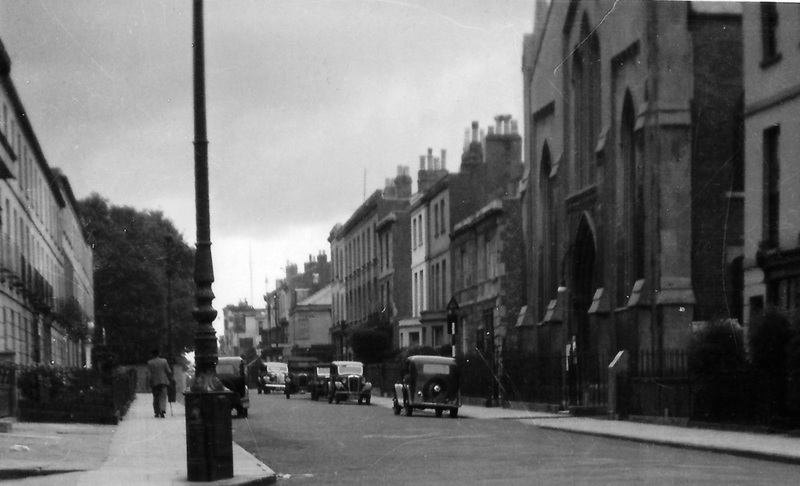 ​The premises in Great Norwood Street were renumbered in about 1930. ​This shop has been, for the greatest part of its existence, associated with fabrics and clothing. In 1852 it was home to the business of Edwin Cox, a linen draper, and continued in this trade until 1975 under various proprietors. 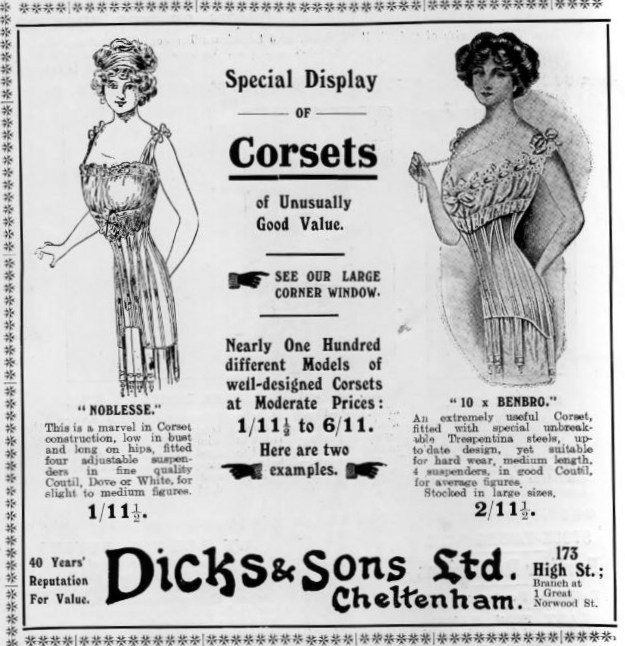 Although the following dates are only indicative these were Elizabeth Head (before 1881), James Dicks & Son (1881 onward), Dicks & Sons (Mary A.W. Eldridge) (1901), Mrs Dora Aldred (1926), Herbert T Ayres (1935-52) and R.& E.D. Aukrett (1961). 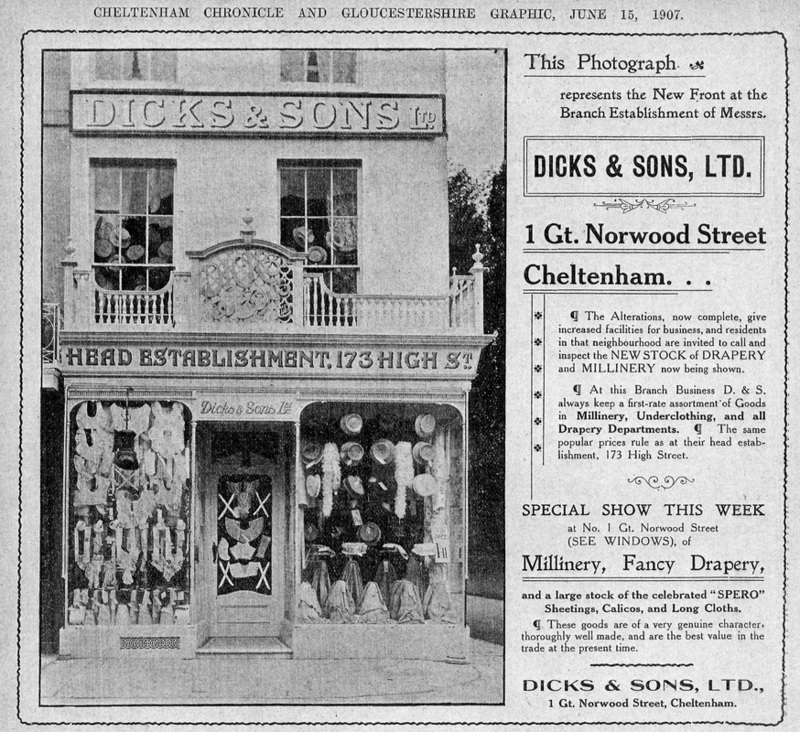 ​Dicks and Sons were a well-known clothing business in Cheltenham and their main shop was situated opposite the bowling green in the High Street, at "Dicks's Corner". 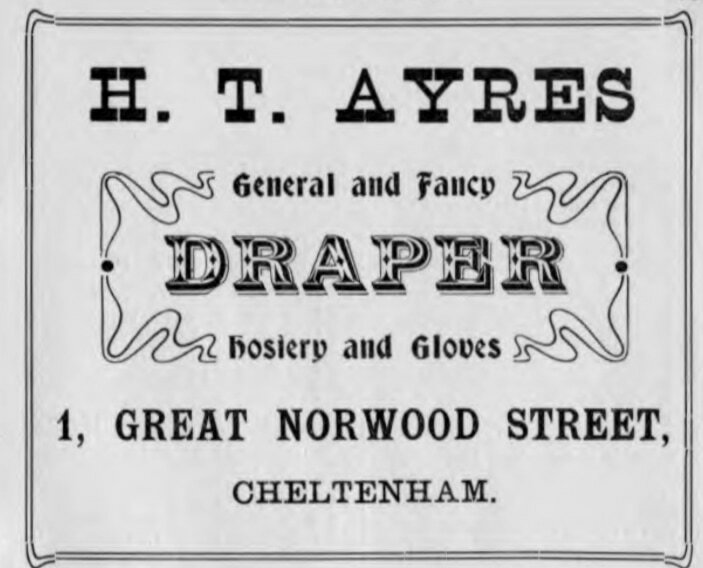 In 1881 James Dicks was paying £30 annual rent for this shop in Great Norwood Street, which had the benefit of a gas supply and "hill water" (presumably from springs at Leckhampton). In the basement were a kitchen, scullery and coal cellar. 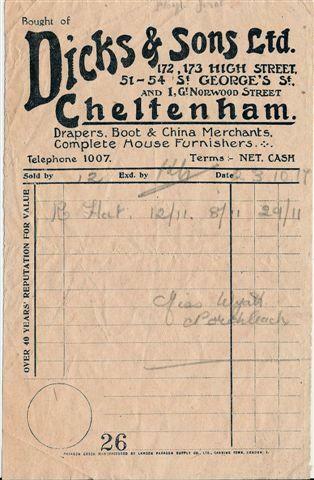 By 1975 the shop had changed to become a chemists owned by Harvey Evans MPS. 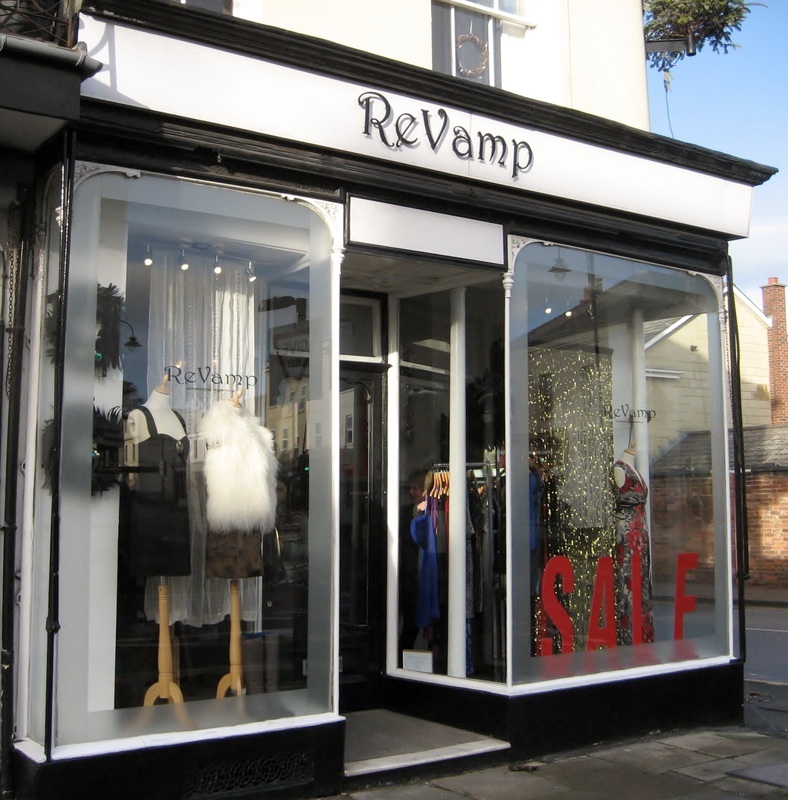 But for several years until today it has reverted back to the clothing trade and since June 2009 has been known as Revamp, a clothing agency selling beautiful vintage and second hand clothing.